The school year has begun! Our families dive into the many different communities; school, athletic, and dance; just to name a few. We will spend what we need to in order to be a member of these communities. We will seek the wisdom and knowledge of former and senior members plus coaches to prepare our child and family for the year ahead. This becomes a top priority. In Sunday’s Gospel reading, a young man seeks wisdom on eternal life. He wishes to belong to Jesus’ community. Yet when he is asked to prioritize what is important, he turns away from Jesus. 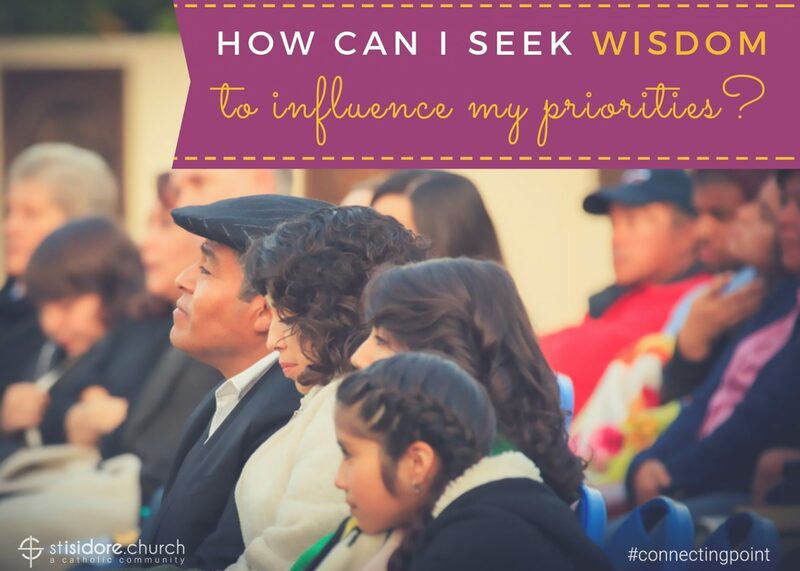 How many times have we discarded the wisdom of others and ranked our Church life low on our priorities? None of us are perfect but sometimes we lose focus on our commitment to our Church community. So take a moment this school year and dive into the Church community. Make room for Christ in your life and seek wisdom from priest, staff, and parishioners. Give all you can to help build the Kingdom of God right here, right now. This Gospel reading reminds us that nothing can compare to our relationship with Jesus.